I received my first QSL card in the mail yesterday. A QSL card is a postcard providing written verification of a radio conversation between to amateur radio operators. The term is derived from shortcuts called “Q codes” originally developed for use with morse code where brevity is key. This contact occurred during the Skywarn event at the local National Weather Service office near the beginning of December that I had participated in. 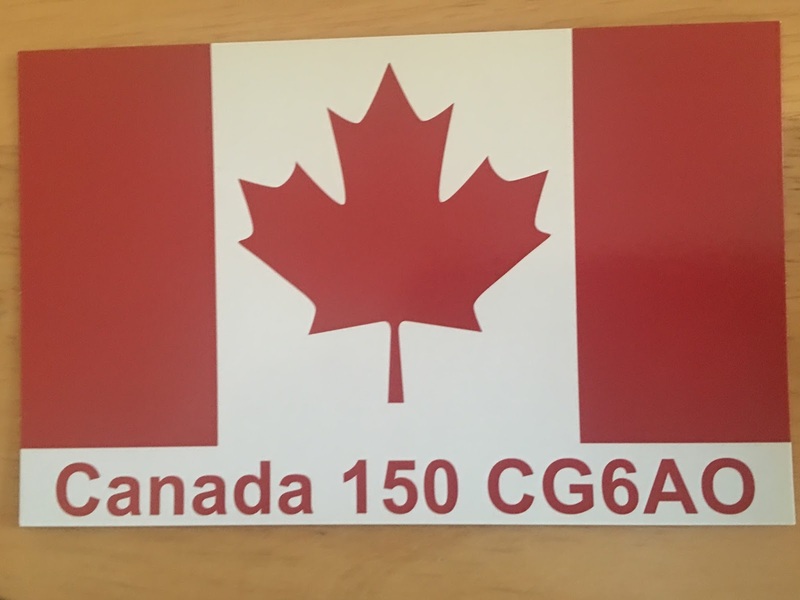 We contacted the operator, CG6AO, who was also participating in the Skywarn event from Calgary. 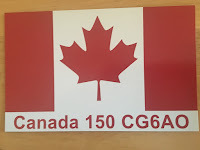 The Canada 150 QSL card is a special one that was being used during the 150th anniversary of Canada as a commonwealth. I remember reading about QSL cards way back when I was a kid. And, when looking at pictures of ham stations (aka shacks), you can see a wall of such cards. Collecting them is a popular part of the amateur radio hobby. I had mocked up a card with my info and mailed it off along with a self-addressed envelope along with something to cover estimated postage. Dan from the local club provided me with the information I needed to include on my own homemade card to send to the Calgary operator. Yesterday (Monday), was nice enough to ride the Ural so it was dug out of storage and the truck is back to outdoor parking. After checking the engine oil and the tire pressure, I headed out to the coffee shop then on to run a couple more errands. I guess that it's supposed to be the first day of Spring, right? 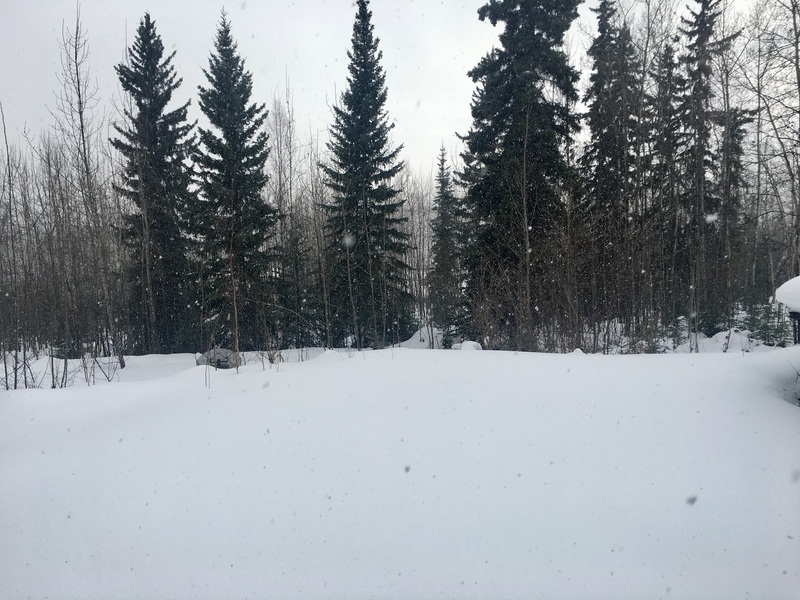 Ignore the snow flurries. I think that I'm going to move the top box back a couple of inches so my back isn't touching the box. At the same time, I may come up with some sort of system allowing the position of the box to be easily changed without drilling more holes in either the rack or the box. I'm typing this while waiting at the local dealer for the third part of the recall. Replacing a tie rod. Hopefully, it gets done quickly unlike the last time. QSL, reminds of what was probably similar codes that we used during a part-time job I worked while meandering my way through college....QSL was the "acknowledge" code, I think the police used it as well. I was for a year or so, a security guard at the Airport Marriott Hotel, oh so long ago. The Ural has finally made it out. Some of the roads are in horrible shape no matter what you are driving. Ice ruts with solid ice cobblestones. It keeps things interesting. The QSL card sounds like an interesting trade back and forth. I can see the old ones being collector items. And one day yours could be too. 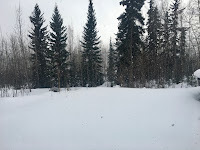 And more snow. Today, it’s -6°F again. Now that’s rude. The QSL cards are interesting. As with most things, the electronic version is gaining popularity as there is no international postage needed. The handlebar muffs (or whatever they are called) plus heated grips make the heated gloves kind of redundant as long as it’s above 0°F.